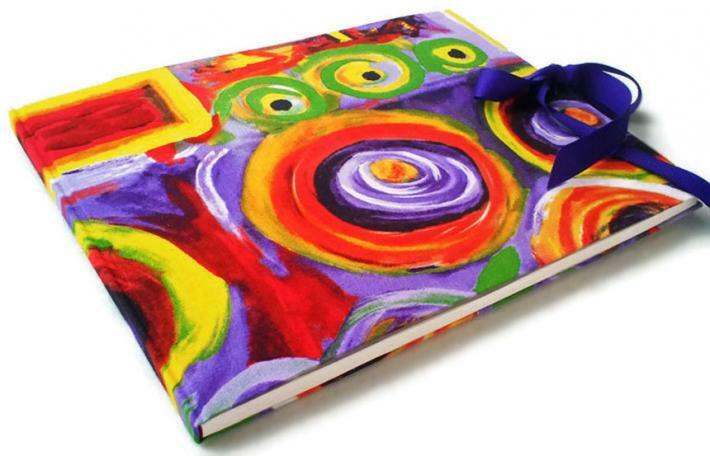 A nice colorful bit of abstract art on this fabric covering this larger 11" x 8.5" handmade journal. 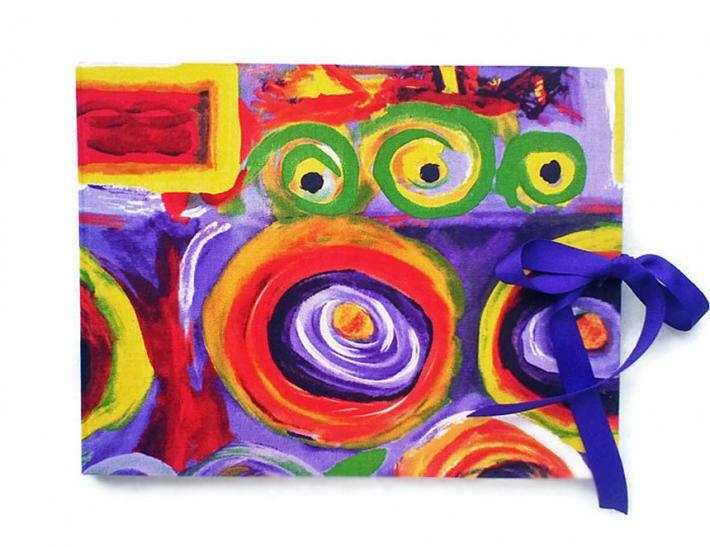 Bright purples, oranges, greens and yellows here are sure to help get those creative juices flowing. There are 100+ pages (front & back) of 24# very light tan speckled unlined paper which have been simple bound (glued) and great for use with both graphite and colored pencils, charcoal, crayons or other dry media. 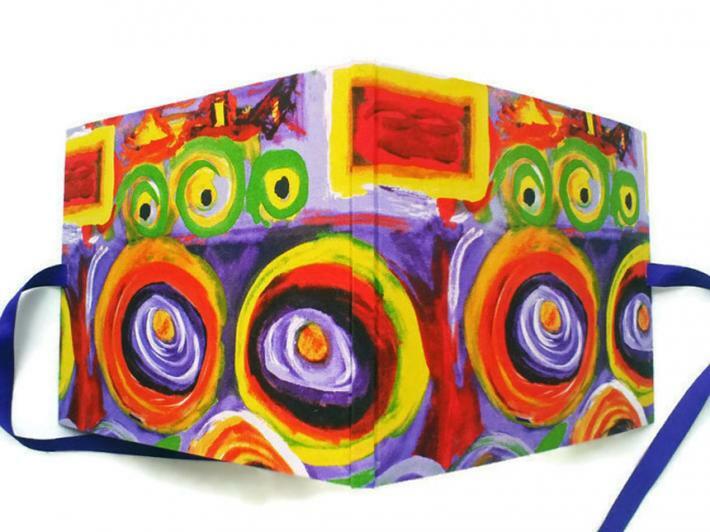 It makes a great sketchbook, field journal or writing journal for one who likes larger pages. 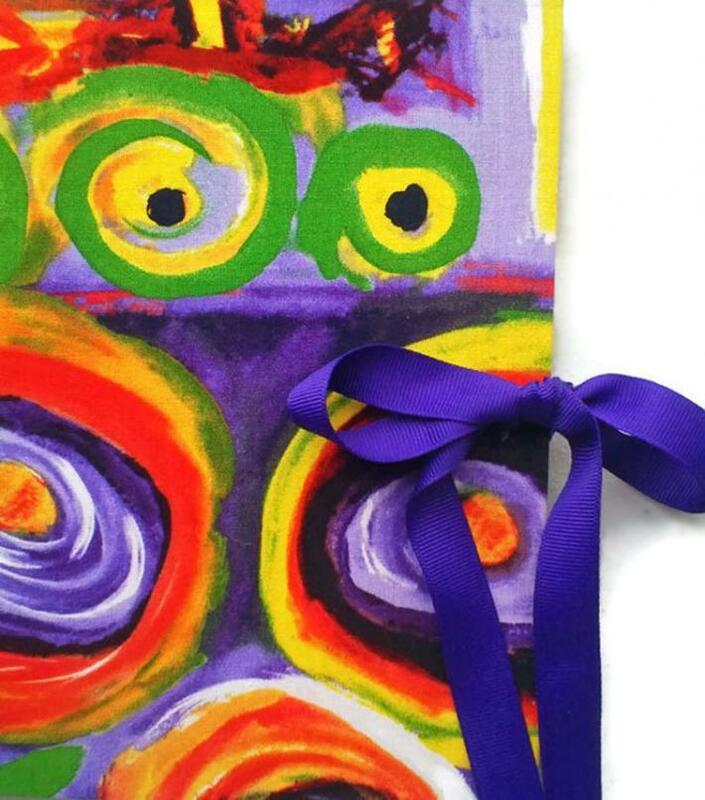 The cover features a matching purple grosgrain ribbon to keep it tied nicely shut when not in use. 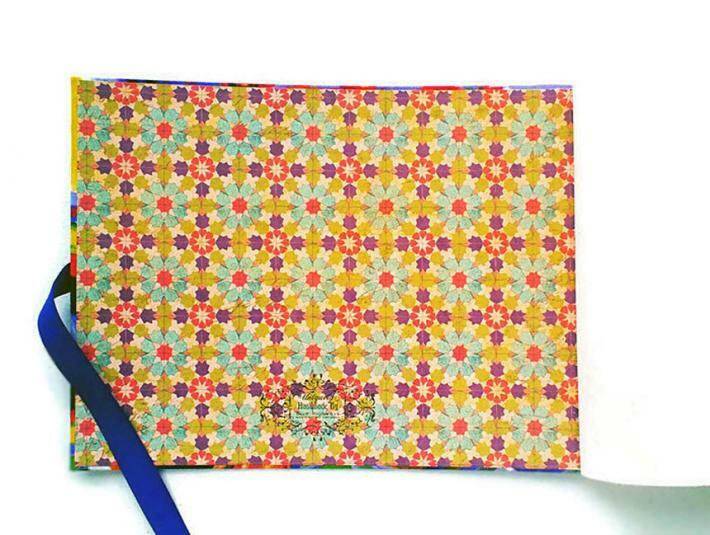 This is the second and final book to be made using this particular fabric. Important: When checking out, please wait for Paypal to redirect you back to Handmade Artists to ensure your transaction has been fully completed. To see my other books please visit Blue Highways or contact me if you'd like a custom made book to suit you perfectly.